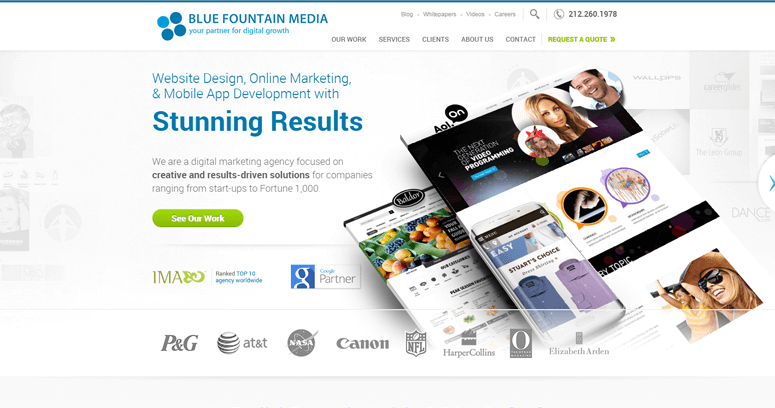 Blue Fountain Media is a responsive web design firm that enables each client to develop and maintain a substantive, savvy online marketing campaign through the perpetual implementation of both innovative and traditional digital strategies. The Blue Fountain Media professionals realize that many people are accessing Internet sites via mobile devices. As such, they are passionate about using the latest and greatest responsive web design systems to ensure cross compatibility. 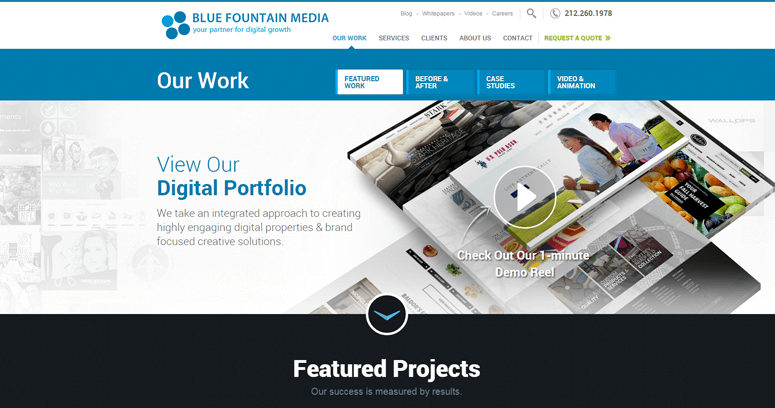 The Blue Fountain Media techies also develop sites that are enhanced for creativity, connectivity, and functionality. 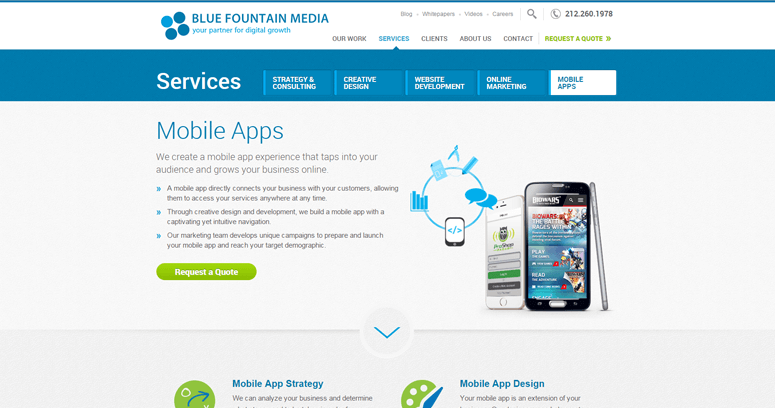 If you're serious about optimizing conversion in the online world, get serious about Blue Fountain Media!